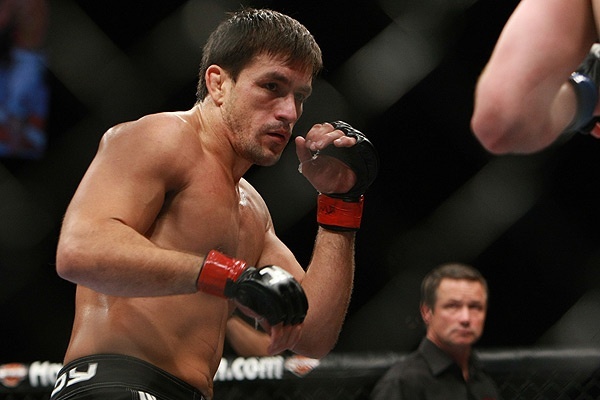 Brazilian mixed martial artist, Demian Maia Baptista, currently fights for the UFC and is a member of the Badboy team. Born on November 6, 1977, Demian began training for Judo when just a young child. He took up Kung Fu and Karate as a teenager and by age nineteen, was practicing Brazilian Jiu Jitsu. It took just slightly over four and a half years for Maia to achieve his black belt in Jiu Jitsu under eight-time Brazilian Jiu Jitsu World Champion, Fabio Gurgel. Maia is now known for his mastery in the art and is ranked the number four Middleweight fighter in the world by both Sherdog and Yahoo! Sports. He is well vesrsed in the skill of grappling as well. Maia went up against Lukas Chlewicki at The Cage- Volume 4 in Finland on December 3, 2005. It took just a little over four minutes for Maia to submit Chlewicki via armbar. About one year later, he won the 2007 Super Challenge Championship in the under-83 kg. Division. To do so he scored three victories that night. Later that year he faced off with Ryan Stout at GFC-Evolution where he won due to stoppage when he got Stout with a mount and caused his shoulder to pop out of socket. Later that year he faced off with Ryan Stout at GFC-Evolution where he won due to stoppage when he got Stout with a mount and caused his shoulder to pop out of socket. UFC 87: Seek and Destroy was the setting for Maia's third fight which was against Middleweight Jason MacDonald, a.k.a. "The Athlete". It was a rear naked choke that won that one for Demian in the third round. In addition to chalking up another win, he received $60,000 for Submission of the Night. That was his third consecutive submission as a UFC fighter. It was the fourth back-to-back submission though that really got him noticed as an excellent grappler. That took place on November 15, 2008 at UFC 91 Couture vs. Lesnar against Nate "Rock" Quarry who he defeated in the first round via rear naked choke. Maia's next fight was quite an exciting one. It was in London, England at UFC 95 in February where he squared off with Chael Sonnen who later was arrested and charged with fraud and testing positive for performance enhancing drugs. Maia threw Sonnen over his head during the bout and then managed a mount and transitioned to a triangle choke. Two minutes and thirty-seven minutes into the first round, Sonnen tapped out and Maia earned his fourth Submission of the Night award. But a turnabout was around the corner. In the ring with Nate Marguardt at UFC 102 on August 29, Maia suffered a knockout only 21 seconds into the fight. It was the first loss in Maia's career. Dan Miller was next on the list. At UFC 109: Relentless on February 6, 2010, Maia pulled a crowd shocker and defeated Miller without taking him to the ground. He later stated that he wanted to prove he could get the job done with strikes. For UFC 112, Vitor Belfort was set to fight Anderson Silva , the UFC Middleweight Champion but had to withdraw. Maia was selected to take his place. Silva vs. Maia was held in Abu Dhabi, United Arab Emirates. Silva dominated the fight at first with mocking gestures and precise and quick strikes but then Maia turned into the aggressor, circling Silva and taunting him as well. Silva gave nothing and in the fifth round was given a warning for it but by the end of the round, much to the crowd's chagrin, Silva was declared the winner by unanimous decision. In August Maia fought Mario Miranda at UFC 118 who he beat by unanimous decision. Kendall Grove was Maia's opponent on December 4, 2010 at The Ultimate Fighter 12 Finale. With impressive all around skill, Maia won by unanimous decision. Demian has a record of 14 wins and two losses. Nate has put together a 6 part DVD set entitiled "The Science of Jui-Jitsu" in which he exposes hidden techniques of the art. 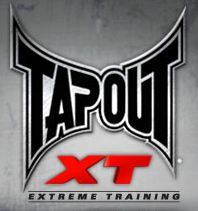 He trains in two to three sessions a day in BJJ, boxing, Muay Thai, wrestling and general conditioning. He wears UFC gloves in the ring and speaks Portuguese, Spanish and English and says that Royce Gracie is his inspiration while Rickson Gracie is his hero. For UFC 112, Vitor Belfort was set to fight Anderson Silva, the UFC Middleweight Champion but had to withdraw. Maia was selected to take his place. Maia has a wife named Renata and has a degree in Journalism and holds a second degree black belt in Brazilian Jiu Jitsu. 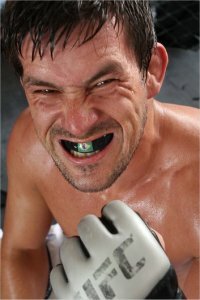 Recently it was announced that Bad Boy Demian will fight Mark Munoz at UFC 131 on June 11 in Vancouver, Canada.